Budding animators are being given the chance to win funding, studio space and mentorship for their own full length film, produced with award-winning Bristol-based animation company, Wonky. 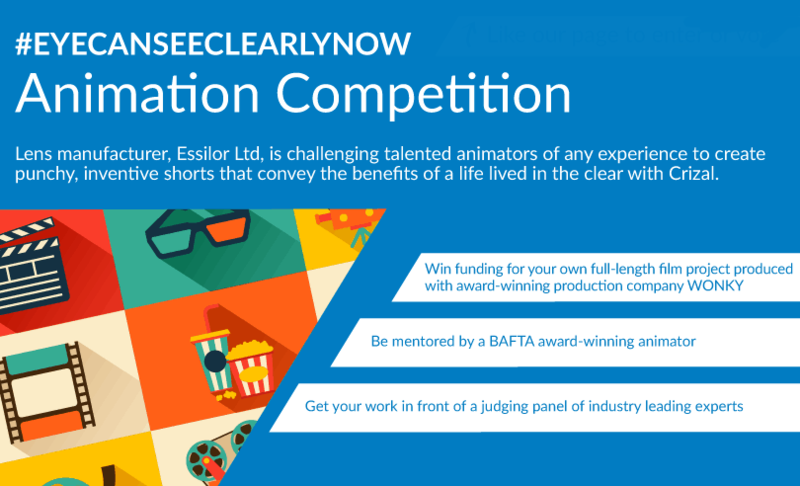 The #EYECANSEECLEARLYNOW Animation Competition is being held by spectacle lens manufacturer, Essilor Limited, to support their Crizal brand. This is why animators are being tasked with creating a short film of up to 60 seconds representing the concept of “fighting the six enemies of vision” to convey the message that it’s only when you remove all the common barriers to vision that you can really see clearly. The overall winner will receive £1,500 in funding to put towards the making of their own full-length film, produced with animation company, Wonky. 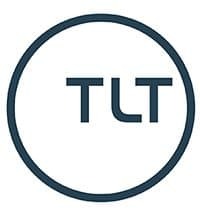 They will have access to the company’s expertise and contacts, and the chance to work out of their Bristol-based studios. There is also the option to submit the film for awards in conjunction with Wonky. Entries will be judged by a combination of public voting and a panel of industry experts including BAFTA-award-winning animator, Emma Lazenby and the editors of Aesthetica and Skwigly magazines. The competition is open to anyone over the age of 18 and there are no restrictions in terms of animation style, medium or inspiration. 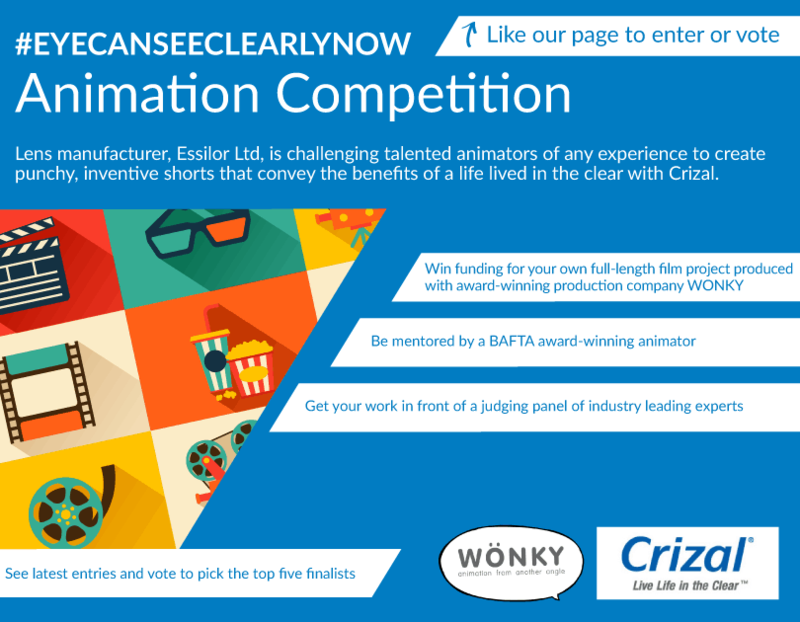 The top ranking animations will be featured on www.eyecanseeclearlynow.co.uk throughout the course of the competition, a site where the public can download a voucher to receive a complimentary second pair of lenses with any Crizal purchase. The first phase of the competition will run from 13 October to 30 November 2014 – when animators will be tasked with developing their shorts and putting them up for a public vote. The five animations with the most overall votes will then be shortlisted for the final prize and their creators invited to attend an awards lunch, where animations will be aired to the judging panel of industry experts on Wednesday 10 December and the winner announced. All five finalists will have an opportunity for one-to-one feedback with members of the judging panel. Find out more about the competition and download a full brief and entry criteria. You can see Wonky’s showreel video below.